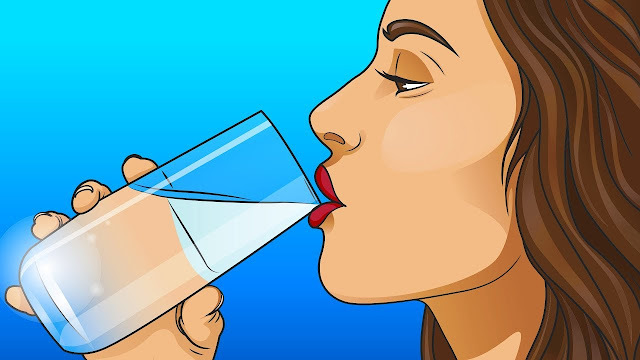 Home how can you drink more water see a doctor immediately Should You Drink Every Day what if you stopped drinking wate why do you need water How Much Water Should You Drink Every Day? How much water should I drink every day? To drink or not to drink. And If to drink. Then how much? Every day millions of People all over the globe, ask themselves these questions and they refer purely to water. There are different opinions on the matter. Some specialists encourage you to drink no fewer than 8 glasses or half a gallon of water a day. And others are sure that you need to drink constantly and as much as your body can accommodate. Some people claim that you need to drink only the amount of water that your body demands. Ummm a bit confusing. Isn't it? How much water is there in your body? The human body has 55% to 75% water. When you are born, your body is comprised of 75% water. As you grow older and become an adult this number becomes a bit smaller 60%. As for seniors their bodies are about 50% water. Where does all this water hide? One-third of it can be found in your blood and between yourselves. And two-thirds of it fills your cells. It's interesting that the more muscle a person has the more water. Their body contains overweight. People have a smaller percentage of water because fat tissue contains a smaller amount of water. On top of that men have a higher percentage of water in their body than women. Some of your organs need more water than others in his work. The chemical composition of the adult human body and its bearing on the biochemistry of growth h/h mitchell concluded that “the human brain and heart are composed of 73% water, the lungs are approximately 83% water, your skin isn't too dry as it seems either. It's composed of 64% water. As for your kidneys and muscles, they can be as much as 79 percent water even your bones are quite damp they are 31% water it." Seems that you have enough water inside, you to live without consuming any more for days on end just like camels nope. Don't make such a grave mistake. You don't have this water to keep forever. You lose impressive volumes of liquid every day mostly by sweating and urinating and if you don't replenish your water this may lead to severe dehydration. How much water is optimal for you to stay healthy? Here we go we've approached the touchy question of how much water people need to drink. The Institute of Medicine recommends that women drink no less than 72 ounces of water a day. Which equals nine cups. As for men they need more water a hundred and four ounces or 13 cups a day. At the same time, the volume of water you should drink is much more individualized. For example, pregnant and breastfeeding women need to drink more water. Children require less water than adults. A child of 8 years old needs to drink 40 ounces or 5 cups of water daily. Children from 9 to 13 should have 56 to 64 ounces or 7 to 8 cups of water. 14 to 18-year-olds need 64 to 88 ounces or 8 to 11 cups of water every day. Men older than 19 should drink a hundred and four ounces or 13 cups of water every day. For women 72 ounces or nine cups is enough. If a woman is pregnant she needs no less than 80 ounces or 10 cups of water a day. Breastfeeding women should drink even more 104 ounces or 13 cups of water. These numbers don't mean that you have to make yourself gulp down only pure water. They refer to your overall daily water intake. This means that anything containing water counts. For example, vegetables and fruits such products as spinach, cucumber,s watermelon, berries, green peppers, radishes, celery, and cauliflower have a high water content. At the same time try to avoid soft drinks, alcoholic drinks, and beer. Besides containing water they also have an impressive amount of empty calories. There are also some cases where you need to drink more water than other people. For example, if you exercise drink 2 cups of water more than usual. If your workout lasts longer than one hour you should add even more to your daily water intake. The same goes if you live in a hot climate or at an elevation higher than 8000 feet and if you're suffering from Diarrhea, fever or vomiting. You should also drink additional water. What will happen if you don't drink enough water? The numerous processes that happen in your body throughout the day can't work well without water. If you don't get enough water your body temperature won't stay within. Its normal range, your joints won't be lubricated and cushion your body waste won't be able to leave your body through sweat, urine, and bowel movements. Even your spine will end up unprotected in addition. If you don't keep your body hydrated, during the day, your brain will start to function poorly and your energy level will drop even if you have mild dehydration. When you lose 1 to 3 percent of your body weight which can be caused by heat or hard exercise. Some of your brain functions will get temporarily impaired and your physical endurance will drop your body may lose more water than usual. When you sweat too much suffer from a fever or diarrhea, pee a lot or vomit.Well it seems obvious that, if you lose water you have to replace it with new water. However, it's not so simple. Sometimes you're just too busy and don't remember to drink enough. In other situations, drinking hurts your throat or stomach and you're unwilling to endure extra pain and from time to time. Your body just doesn't inform you that you're thirsty and you don't realize it until it's too late. Therefore, if you feel thirsty your mouth is dry and sticky you are suffering from a headache or muscle cramps, your skin is dry and cool or your pee has a dark yellow color run and drinks that glass of water. You've forgotten about why does your body need water. Your body will simply stop functioning without water. Every single cell needs this liquid to work and live in water forms saliva in your mouth. Water helps to deliver oxygen throughout your body. It helps to produce neurotransmitters and hormones. It cushions your spinal cord and brain. It assists food as it passes through your intestines. A cool fact is that after you drink 2 cups of water, you temporarily boost your metabolism by up to 30% and if you have 6 to 8 ounces of water daily, your energy expenditure becomes 96 calories a day higher. On the other hand, it's important not to get over enthusiastic about the benefits water has. Don't follow the rule of the more the better. This can be just as dangerous for your health as dehydration too much water in your body dilutes electrolytes in the blood. As a result sodium levels go down. This condition is called hyponatremia. It can lead to low energy levels, headaches, weakness, irritability, muscle spasms, nausea, confusion, and even a coma. How can you drink more water! Most people find it pretty difficult to remember to drink enough water over the course of a day. Here are some tips on: How to effortlessly make yourself consume more water? Employ modern technology nowadays. There are different apps that help you keep tabs. On how much water you've already consumed. What's even better is that they remind you to drink more by a cool water bottle and carry it with you everywhere you go. This will definitely motivate you to drink more water while choosing your bottle. Pick the one that's easy to wash. If you have problems with the taste of ordinary water or the absence of a taste. Try to drink carbonated water. There are bubbles in it which makes the whole water-drinking. Thing much more exciting you may even persuade. Your body that you're drinking soda adds fruit to your water bottle if you add some citrus berries, cucumbers or even some mint leaves. The fresh and exquisite taste of this drink will make you crave more. Share this article to your friends and family if this article has made you decide to increase your water consumption and if you already drink enough water. Tell us in the comments below about the ways and methods you use to do this stay healthy and hydrated.